Work has started to expand the lookout aft towards the light tower. The stern face of the lookout is being carefully removed so that structural beams can be inserted to allow the room to be increased in size. 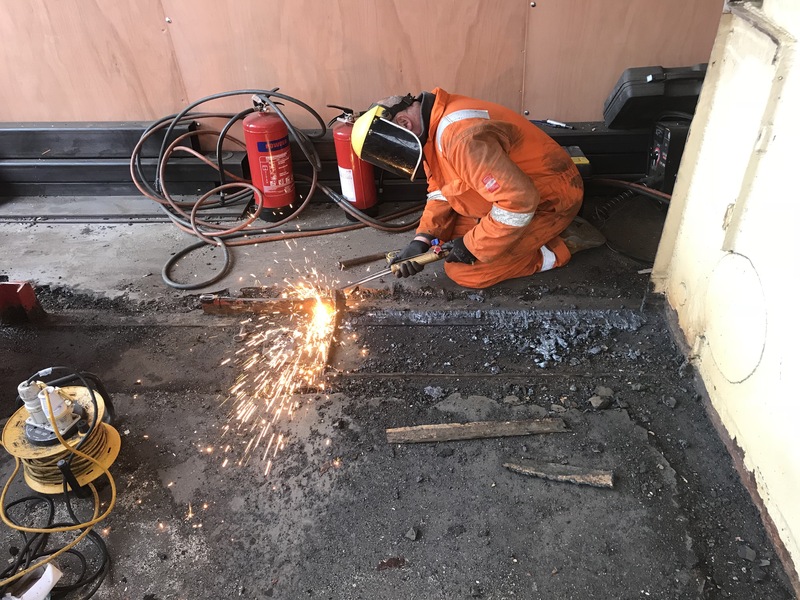 Meanwhile below the lookout ladder has been removed and preparations are being made to seal up the opening in the floor. We have been working hard to ensure as we reconfigure the light vessel that we monitor her stability. Our naval architect has been running data into his model and for future phases we have decided we want to ballast the ship to keep her in a sea going state. 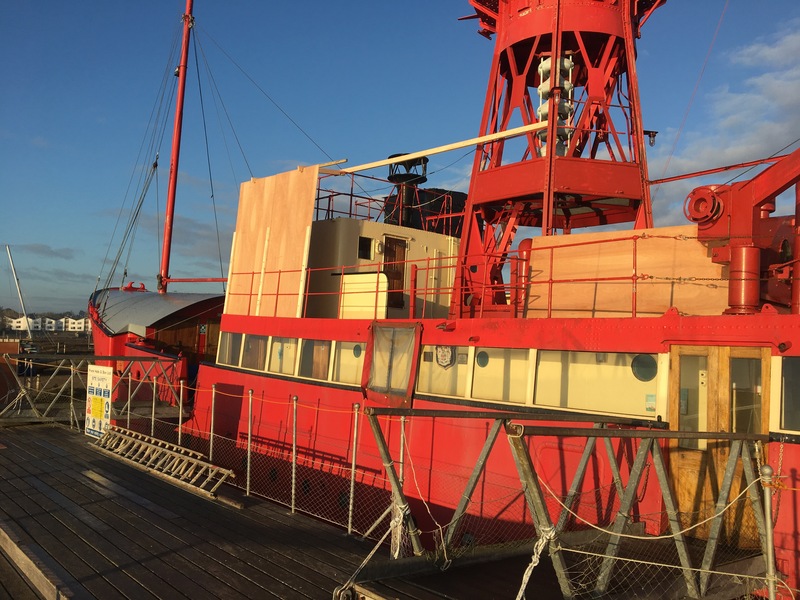 Trinity House, who originally built the lightship, and still manage navigation aids in our UK waters have been keen to help us. 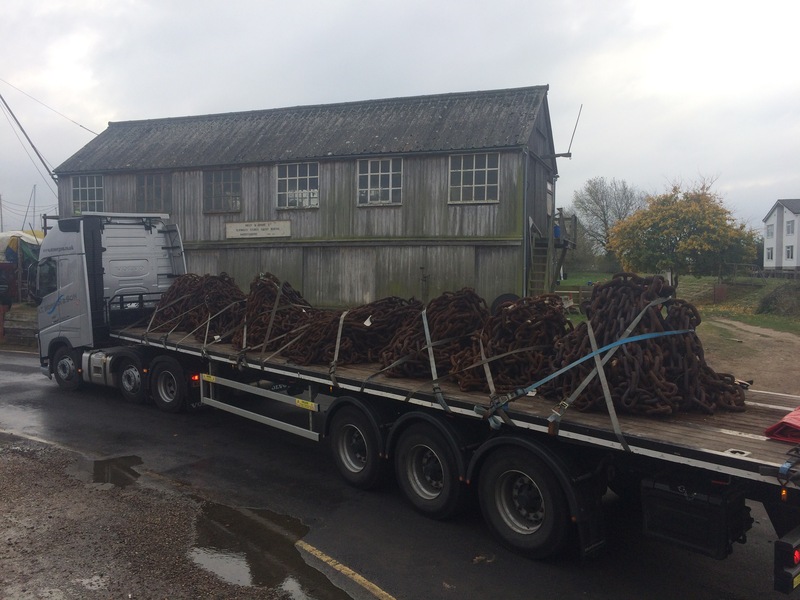 Not only have they been providing technical advise since we started the project, but this week delivered the gift of over 17 tonnes of scrap chain. The chain has been unloaded and will be cut into manageable length before being placed low down in the lightships bilge. Thank you Trinity House for this gift! 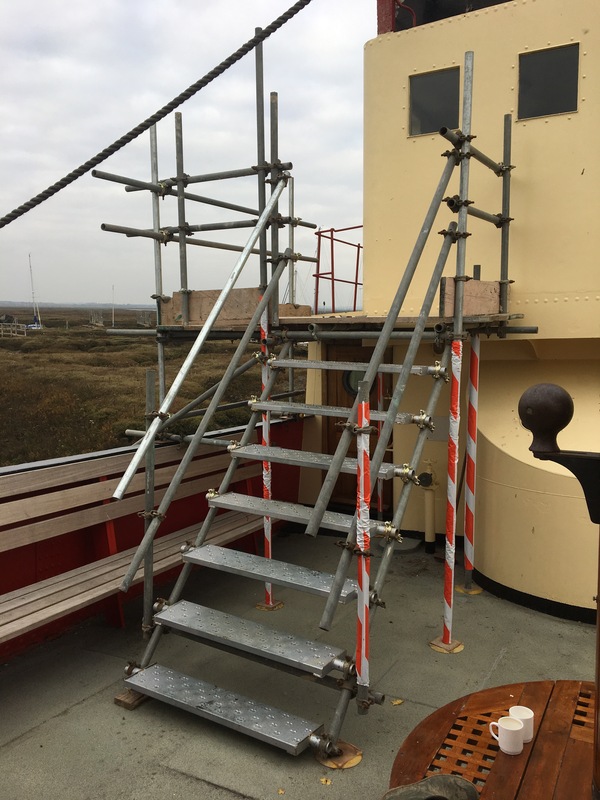 The lookout is the first part of the boat deck to be worked on, so removal of old railings and fittings has started this week. Next the lookout will be stripped out internally and then opened up to extend it aft to meet the light tower. Over the last few months there has been much planning and preparation for the second phase of Trinity’s (our floating centre) development. As is often the case, funding is a critical part of the decision making. We have now secured just over half the funds for this winters’ work, our contractors are lined up and we have some good prospects for support… so after much prayer and consideration we have instructed our contractors to carry out the works. Our scheduled window for completing the work started last week and if we do not seize the moment we will not complete this phase before our guests return next year. Last week Frank Halls & Son arrived on site and quickly started preparing their site access to the boat deck and erected a screen around the construction area. Meanwhile our stability expert is running the calculations to prepare for the arrival of 17 tonnes of chain that will go in the bottom of the ship. This has been generously donated by Trinity House.